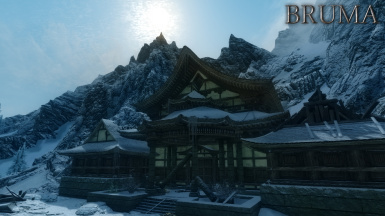 Beyond Skyrim Bruma - Survival Mode Compatibility Patch. Bruma Fur Hat for M'aiq Obviously. 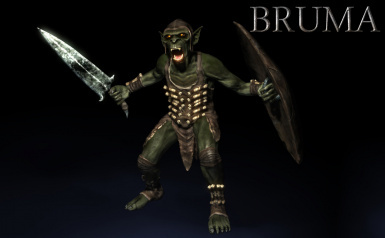 CBBE Armour and Clothing Conversions for Beyond Skyrim - Bruma Needed for textures and game implementation. Assets originally belonging to public resources retain their original permissions. See relevant resource page. You are not allowed to redistribute resources made specifically for Beyond Skyrim, unless you are their original author or have been given express permission by them, or the Beyond Skyrim: Cyrodiil team. You are not allowed to redistribute the full mod. 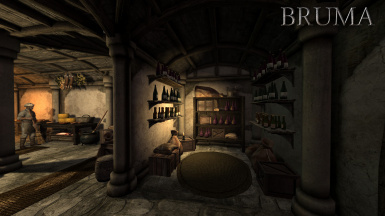 You are free to distribute altered/new versions of the resources (such as retextures, armors variations, ...,) as long as the published mod is dependant on Beyond Skyrim: Bruma. 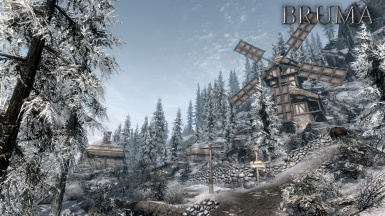 You are free and welcome to distribute addons and compatibility patches for Beyond Skyrim: Bruma. You are free to distribute translated versions of the plugins and the resources on Nexus. 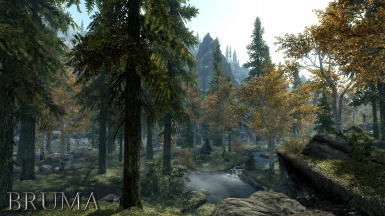 You may distribute translated versions of the plugins and the resources outside of Nexus after receiving express permission from the Beyond Skyrim: Cyrodiil team. If you intend to distribute files or plugins intended to fix issues in Beyond Skyrim: Bruma, please consider sharing them with the team as well for inclusion in future updates. 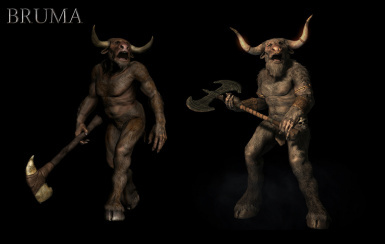 Tamira / Stroti - http://www.nexusmods.com/skyrim/users/776954/? Scot (Mushrooms for toadstool hollow) - http://www.nexusmods.com/skyrim/mods/10402/? Artisanix (picture frames) - http://www.nexusmods.com/skyrim/mods/17423/? We are updating these credits as we update the package - we may add or remove credits for accuracy. If you do not see your name here or in our staff credits and should be - please let us know as soon as possible and we will rectify that. 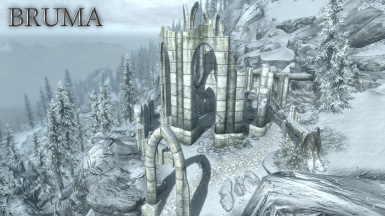 Travel beyond the borders of Skyrim, and visit Bruma, the northmost county in Cyrodiil. Discover what has become of the city's residents since the events of Oblivion in all-new adventures and storylines. 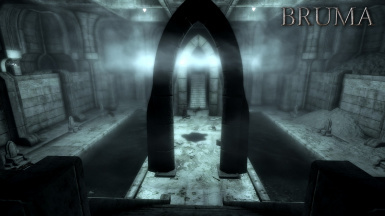 Plunge into the depths of ancient Ayleid ruins. Explore an expansive region larger and denser than the Dragonborn DLC. 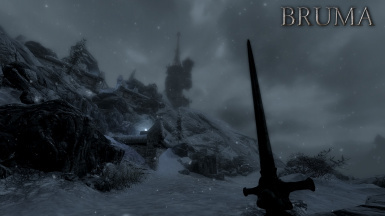 In Beyond Skyrim: Bruma, the choices - and their consequences - are yours alone. 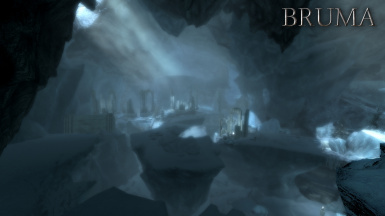 Rediscover Frostcrag Spire, Cloud Ruler Temple, Frostfire Glade and many other legendary locations. The journey back to the Heartland begins now. Are you prepared? We do not recommend installing with NMM as it struggles to handle large files such as Bruma (if you use NMM and have problems, manual installation may work better). Click "download with manager" or download the archives manually. Once the mod is activated, ensure that both BSAssets.esm and BSHeartland.esm are enabled in your load order and that BSHeartland.esm loads AFTER BSAssets.esm. BS_DLC_patch.esp should then follow BSHeartland.esm. Download and unzip the archives, and place all contents in your Skyrim/Data folder. Ensure that both BSAssets.esm and BSHeartland.esm are enabled in your load order and that BSHeartland.esm loads AFTER BSAssets.esm. BS_DLC_patch.esp should then follow BSHeartland.esm. 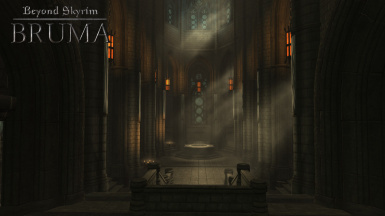 Uninstalling Beyond Skyrim: Bruma is not supported due to the way that the game engine 'bakes' data into saved games. 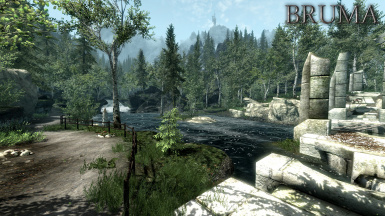 If you wish to stop using Beyond Skyrim: Bruma, you are STRONGLY advised to roll back to a saved game that predates your installing Beyond Skyrim: Bruma, or start a new saved game. 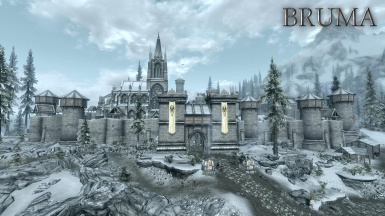 If you uninstall Beyond Skyrim: Bruma without rolling back to a previous saved game or starting a new one, it is very likely that you will experience bugs. This is due to the way the game engine handles data files, and is true of Bethesda's official DLC as well as other comparable mods. Q: What kind of people are you looking for? How can I join the Cyrodiil team? A: We are always on the lookout for talented concept artists, 3D modellers, landscape designers and people skilled with the CK, although we have openings for other positions as well. Just send an application through Our site, along with a sample of your work. If you have any questions about joining you can ask in Our Discord. And if you don't have the skills now, consider joining The Arcane University our training division. Q: What is Beyond Skyrim? A: Beyond Skyrim is an ambitious community, composed of various, independent projects working together to bring the other Provinces of Tamriel - like High Rock, Cyrodiil, Hammerfell and Morrowind - into the game and timeline of Skyrim. Q: Will it require a new game? A: Nope! You will be able to use your existing characters from Skyrim. Just hop over the border, and continue your adventures. Q: Is this the same thing as Skyblivion / Skywind? Why aren't you working with them? A: No, Skyblivion and Skywind are remakes of older Bethesda games in the Skyrim engine. This is an entirely new mod in which the player can visit a version of Tamriel contemporary to Skyrim. Our goals and methods are different, but we keep up a good relationship. Q: Why not you just port content from Oblivion / Morrowind / other games? A: Because this is a violation of Bethesda's EULA, and would be grounds for them to close down the project. Q: Will this be released for consoles? A: Beyond Skyrim: Bruma is now available for Xbox One. We cannot release it on PS4 due to Sony's policies on mod assets prohibiting us from doing so. 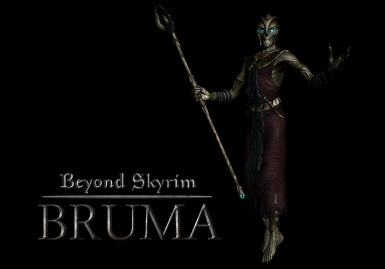 The Beyond Skyrim: Bruma original soundtrack is available for streaming and download here! 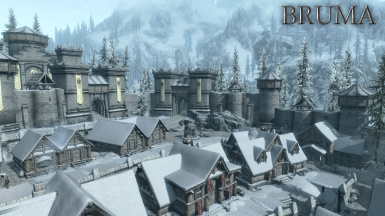 We will support Beyond Skyrim: Bruma comprehensively, with patches to resolve any bugs and issues that are reported by players. But we're not stopping with Bruma - we're working on the rest of Cyrodiil, too - from the naval heart of Anvil to the swampy marshes of Blackwood and the grandeur of the Imperial City, as part of the wider Beyond Skyrim: Cyrodiil project. Be sure to follow us on our social media outlets to get up the latest news on patches and the continued development of Cyrodiil. [size=3]For the latest news on Beyond Skyrim and its projects, follow us on one of our social media pages and chat with us on our Discord community outpost!